This series is based on the Awareness Course that is incorporated at the post-graduate level programs of the Sri Sathya Sai University. Its author is the Sri Sathya Sai University’s former Vice-Chancellor Professor G. Venkataraman who has been closely connected with the formulation, content and delivery of this program for more than a decade now. The series was first broadcast over Radio Sai in response to requests from many listeners seeking clarifications on many spiritual dilemmas faced in daily life. Therefore, it was presented in a simple format suited for anyone who wishes to live life in a state of Awareness as prescribed by the Supreme Teacher Bhagavan Sri Sathya Sai Baba. In the present article, one of these radio talks has been adapted appropriately and supplemented with apt illustrations for ease of understanding. The issue of gunas and their management is an important factor that shapes our lives. Each human being is a composite of three distinct entities, the gross body, the subtle mind and the causal heart. The body helps us to act in this world; the mind assists us to decide, while the heart, if only we would allow it, guides the mind. That word ‘if’ is an important key that opens our vision to solution for most of the world’s problems today. 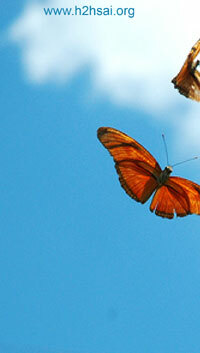 Some of our actions are instinctive; for example, when we sense danger we run and try to protect ourselves. Experts say that we perform many actions in this manner because Nature or God, call it what you will, has hard-wired us to do so, that is to say, the brain and senses are so tied together that such so-called instinctive functions are performed automatically without our ever thinking about them. On the other hand, many of our actions are based on conscious decisions. For example, when a person wants to buy a house and has many options to choose from, that person carefully thinks about the pros and cons of each and every choice, and then makes a particular decision that seems advantageous from one or more angles. God has thus given man a mind that enables him to decide his course of actions in many matters. This discretionary ability has to be used carefully, especially when it comes to actions involving moral principles. The buddhi is the faculty that enables proper [spiritual] discrimination, and Swami reminds us that buddhi, which connects us to our heart, the seat of the indweller, would be in good working condition only if we take the trouble to maintain it properly. Proper maintenance of the buddhi calls for regular and efficient sense and mind control. There are actually two parameters that shape the mind. 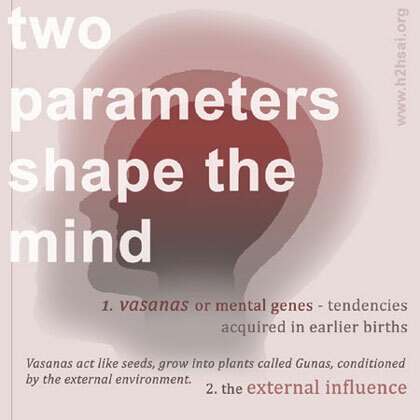 The first of these is the vasanas or mental genes which represent the essence of tendencies acquired in earlier births, like a disposition to be miserly, selfish, devout, caring and so on. We come into the world with a huge baggage of vasanas picked up in the earlier part of our long journey to God, and in this life, these that act like seeds and grow into plants called gunas, conditioned of course by the external environment. The external influence is the second of the two parameters that shape the mind. For example, a person born with a tendency to be greedy, when exposed to corrupt business practices becomes even more greedy and ambitious and does not stop at anything to acquire huge wealth. All this shows that we need guna management if life is to be a journey towards God. To drive a car properly, we need a proper steering wheel and good brakes; otherwise, there can be disaster. In life’s journey, guna management is like handling the steering wheel properly, while sense and mind control is like using the brakes judiciously as and when required. Given these two, the driver can proceed safely in his journey. Our travel through life’s journey can be smooth if we drive safely, steer the car well and handle the brakes properly. To be more explicit, let us view the experience through the prism of the P-N cycle. Here the letter P stands for prasaadam while N stands for naivedyam. For the benefit of those who are not familiar with these terms, prasaadam means a gift of God while naivedyam means an offering to God. 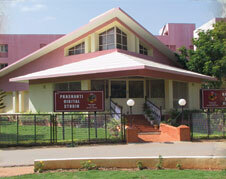 Incidentally, you might have come across names like Krishna Prasad, for example. The person bearing that name has been so named by his parents because when he was born, the parents felt the child was a gift of Lord Krishna. Surely, it has not escaped your attention that we all receive prasaadam at the end of every Sai function. In life, we receive innumerable gifts from God and that implies in turn that all these must be used in such a manner that whatever we do becomes an offering to God. What is the basic purpose of life? More than ten years ago, one evening some of us were assembled in Swami’s presence in Trayee Brindavan, after the evening bhajan session. The proceedings commenced with Swami asking the question, “What is the purpose of life?” Students attempted many answers but Swami kept on shaking His head as if to say, “No, that is not the correct answer.” It was then the elders’ turn and they too drew a complete blank. 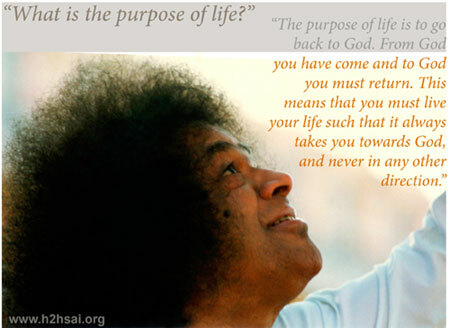 Swami then gently smiled and said, “The purpose of life is to go back to God. From God you have come and to God you must return. This means that you must live your life such that it always takes you towards God, and never in any other direction.” The P-N cycle is a convenient strategy for achieving that goal. Most people live under the delusion that God is least bothered about them, that He has given them hardly any worthwhile gift and that if at all God has given anything it is a whole lot of problems. This is the common perception but in reality, nothing could be farther from the truth. Life bestows two things on us, gifts from God and problems to be sure. The goodies all come from God, while – and you might not believe this – problems are gifts we give to ourselves! Many might protest this and I will come to this shortly, but before that let me quickly start enumerating some of the gifts of God. The first of course is the gift of life, human life in particular. You might disagree strongly, citing in support the innumerable problems you might be facing in daily life. Yes, we all face problems, who does not? But in the midst of all this, you would surely agree that there are moments we are happy when something good happens to us. 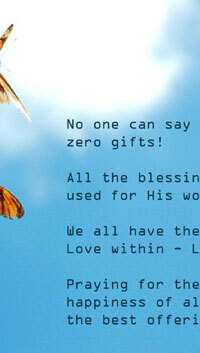 All those are gifts of God. Let us take a simple and almost trivial example. Say there is an old woman who is desperately poor and all alone. She is hungry and has gone without food for almost two days. She begs fervently but there is no one to hear her pleas. She has become weak and losing hope lies by the roadside feeling utterly crushed. Along comes a young man who stops, notices her condition, rushes to a nearby shop to buy something to eat, which he then gives to the starving woman. The woman looks up, sees a young man smiling at her kindly and offering some hot food. She smiles, accepts the food, thanks the young man and blesses him. The young man then leaves his heart full of happiness. Not a great story I admit, but a touching one nevertheless and by the way not uncommon. Let us look a bit behind the scenes. Passers by might have seen a young man full of kindness, offering help; yes, those are the worldly facts. But who motivated that young man? Who put that feeling of compassion in the heart of that young man? Who made him stop and take notice of this starving woman? It is the God within, residing as the Indweller of the heart. In simple terms, the man coming to the help of the hungry woman, bringing her some food was all a case of God coming to her help in the disguise of a kind young man. Whenever we receive some love or help or kindness from a person, it is actually God who is behind that act; the person doing the delivery is, if I might say so, rather like the postman who delivers mail. 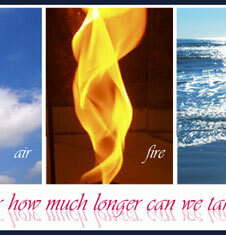 We breathe air all the time, from birth to the moment when we give up the body. Every single person on earth does it, including Avatars. Who has given us that air to breathe? You cannot deny that it is God who has done so; and remember, He does not charge us anything for it. We all have to drink water, in fact several times a day. As Swami often reminds us, we can go without food for several days but without water, it becomes very difficult to survive beyond a few hours; we would die of dehydration. The water we drink and take so very much for granted, where did it come from? It is God who put water on earth in the first place; and having done so, God in His mercy has also many agents to transport that water as well as store it for our use later. 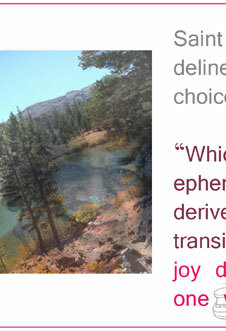 Thus it is that we have so-called natural phenomena like rain, rivers, and so on, as also lakes and ponds. Barrel of crude oil @ $0! I can go on for hours, but I do not have to. However, I do urge you to think about these matters for sometime at least, so that you do not get the impression that having created us, God simply walked away, abandoning us all; not at all. I mean, these days, the transportation industry is so very heavily dependent on oil. Where does this oil come from? From the crude oil lying below the surface of the earth. Who put it there in the first place? Do I have to tell you? And by the way, has God ever charged us for all that huge quantity of oil? Not even a cent till date! We on the other hand pump millions of barrels out of the earth every single day and make billions of dollars of profit. How much of this astronomical profit is ploughed back into society for humanity’s benefit? Precious little. Whatever we do, we must make sure we are true to God and use the gifts He has bestowed upon us for the benefit of humanity and for the reverence, sustenance and the protection of Nature. All this we have do fully conscious all the time that God is our Lord, that we are doing all this to please Him, and we do this best when we offer our actions to Him with love. If you think along these lines, I am sure you can spend hours, lining up examples, one after another. Take watermelon as another instance; so many quench their thirst by eating this wonderful fruit. 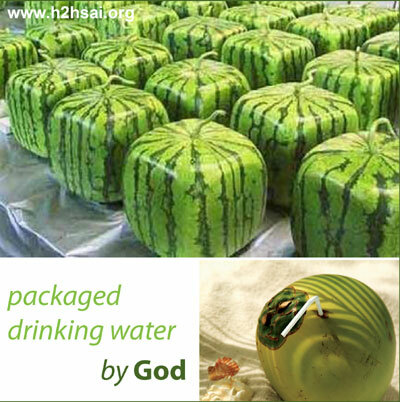 God has not only given us water but even packaged it so sweetly [yes, the pun is intended!] in the form of watermelon and coconuts. How thoughtful of Him! There are trees almost everywhere, including a few in deserts. Many trees do not yield fruits we can eat but birds feed on them; and these trees, like the stately banyan tree for example, have provided shade to millions over the years. Swami tells the story of how one day when Krishna was young and grew up under the loving care of Yashoda, he was playing near a spot where ladies were collecting water in pots for taking home. 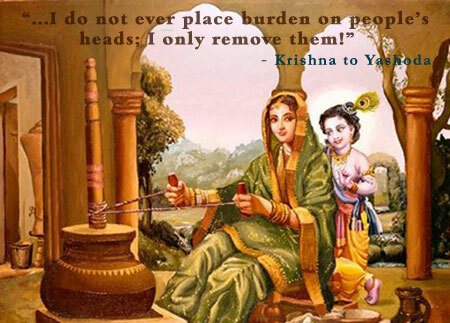 Having filled her pots, Yashoda was struggling to get them on her head, and seeing Krishna near by, she called, “Hey Krishna, come here and help me load these pots on my head.” Krishna turned, looked at her, smiled and simply ran away. Mumbling and grumbling, Yashoda sought the assistance of other gopikas nearby to get the pots on her head, and slowly made her way to her home. When she came near her doorstep, she saw that Krishna was standing there. With a huge charming smile on His face and without even so much as a hint from her, Krishna rushed forward to help Yashoda bring down the heavy pots from her head and place them on the ground. What a wonderful story, and full of meaning, is it not? Yes, God only created man and blessed him with many gifts. But He did not place any burden on man; all the difficulties that humans experience in life are the direct result of their own actions of the past, reacting through the inevitable law of Reflection, Reaction, Resound, as Swami often refers to it. In short, gifts are from God while problems we give to ourselves. If the purpose of life is to go back to God, how then do we live life so that we go back to God? Does it mean cutting off ties from society? Does it mean we must wear sackcloth and smear ourselves with ash? Does it mean giving up the family? Does it mean we cannot engage in business, or pursue science and things like that? The answer is none of the above! Following the P-N cycle makes it a breeze to follow such an ideal scenario. Let’s take the example of a person with good musical talent. This person has the opportunity to make millions by “marketing” his or her talent but refuses to do so. He or she as the case may be, sings for God and by doing so brings joy to millions. This is not to say the person must not accept salary or payment needed for sustenance; not at all; what one expects is that the person does not mortgage their soul in order to make millions. Particularly where music is concerned, there are any number of examples, indeed from all cultures that one can give to illustrate the above point. There is, to start with, the famous case of Tyagaraja, the incomparable devotee of Lord Rama, who spent his entire life singing for Rama’s pleasure. In the process, Tyagaraja created a vast treasure of superb and soulful music, which forms the very backbone of traditional South Indian music, popularly known as Carnatic music. One day, Tyagaraja’s brother decided he would try to cash in on his brother’s talent and persuaded the local king to invite Tyagaraja to his court and sing for him. Agreeing to the proposal, the king sent his servants to Tyagaraja’s house, carrying the customary gifts with the royal invite. When these servants arrived, offered the gifts and presented the invitation from the king to sing in his court, Tyagaraja sang, “O mind, tell me whether wealth would bring great happiness or being in Rama’s presence?” Through this poignant song, Tyagaraja clearly delineated the two basic choices before man: “Which is preferable, ephemeral pleasure derived from the transient world or eternal joy derived from being one with God?” The options before man have seldom been more clearly delineated. This option constantly presents itself in some form or the other to almost everyone, every single day; and yet how many of us take the time to think about it and take the proper decision? 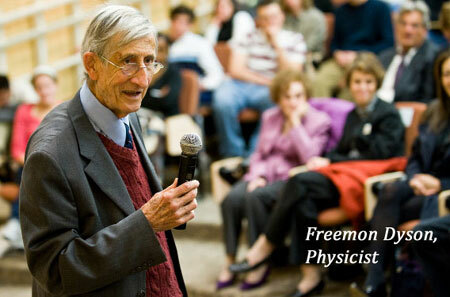 I recall seeing many years ago a TV documentary film on the atom bomb, in which Freeman Dyson makes some comments. As you may recall, Dyson was born in England, studied physics there, worked as a brilliant analyst during World War II, then went to America where he did some monumental work on quantum electrodynamics that made him famous. A man blessed with a razor sharp mind and the ability to think brilliantly, for a time he worked in the Los Alamos laboratory in the US developing advanced and efficient hydrogen bombs using the principle of radiation compression. This made the hydrogen bomb quite small, which delighted the military no end for they could now pack many such bombs into one missile and shoot that missile to any part of the world. All this was hailed as an enormous technical feat that it no doubt was. But reflecting on all that later, Dyson admitted that by doing this sort of research, he had sold his soul to the devil! Today, wherever we look, knowledge, wealth, talent, and even things that God has given us like water, land, endless resources are being misused to the point of committing big crimes against humanity and society. Take cyber crimes, for example. Cyber crimes are committed by very intelligent people with enormous computer skills. Corporate crimes too are committed only by very sharp people. Did God give intelligence to be misused in this manner? Today, when our creative abilities are at their highest, we are almost blind to the obvious. Why? We simply do not want to see the truth! To see the truth and accept it would mean we would have to give up the trash and the trivial. We may reason instead, “Why should I, when I get such a kick out of all this?” That is how the drug addict and the alcoholic got on to the slippery slope but can we say drug addiction and being an alcoholic are wise choices? If this is told to the brash and the aggressive they would simply say, “Man, you simply do not know anything about enjoying life!” By saying so the person might pat himself on the back about having come forth with a smart repartee but the fact of the matter is that such persons are all blind to the main purpose of life. How many times has Swami asked in His Discourses: “Has God given you life and blessed you specially with the human form so that you can fritter it away in routine existence like birds and animals do? Should you not use this life to be conscious of your divine roots and go in search of your true home?” If we accept that the purpose of life is indeed to go back where we came from, then adoption of the P-N cycle as a practical way of life becomes automatic. The idea behind the P-N cycle is not very complicated really. 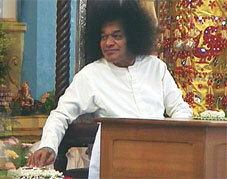 In fact Radio Sai itself represents a very beautiful example. 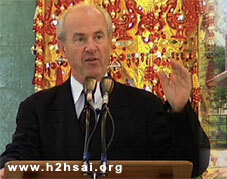 WorldSpace’s Dr. Noah Samara came to Swami many years ago. He was at that time, just launching his scheme of digital satellite radio broadcasting. At that time, it was a pioneering concept but since then, it has become common in many parts of the world. After having Swami’s darshan, Dr. Samara offered to Swami a radio channel exclusively for spreading Bhagavan’s universal message of love and harmony, and the offer was graciously accepted by the Central Trust. A few months later, on 23rd November 2001, while participating in the formal inauguration ceremony, Dr. Michael Nobel, Member of the WorldSpace Board said that what prompted his company to come forward with the offer was the fact that the divine message of love would spread across the continents so much faster if it were done via the radio. Dr. Nobel noted that he was personally amazed how, by mere word of mouth, the Sai movement had spread across oceans and continents; how much quicker it all would be, said Dr. Nobel, if the dissemination could be done via the radio. 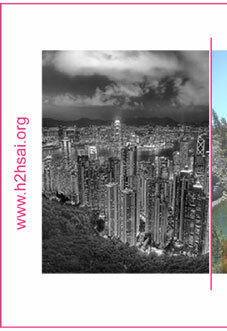 Indeed his expectations have come true; the very fact that Radio Sai is able to connect with millions of listeners all over the world day after day, and week after week, bringing you its services through H2H e-journal, three streams of broadcasting, 24/7, Saicast video streaming, daily Sai messages via email, among other services, is proof enough. The Radio Sai example is fine example of illustrating the effectiveness of the P-N cycle. Dr. Samara had no obligation to offer a free channel to us; but he felt that God’s gift of satellite broadcasting must be made available for God’s work and that is how he came to make the offer. 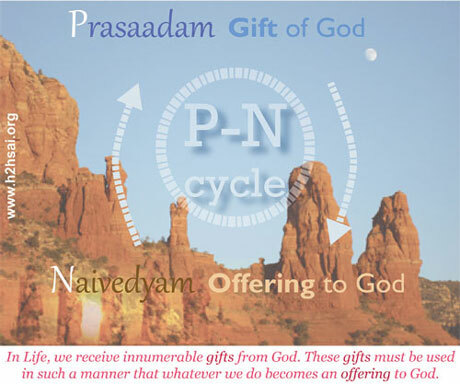 Today, spiritual seekers around the globe feel connected to Prasanthi Nilayam, the spiritual capital of the universe because of Dr. Samara’s adherence to the PN Cycle. 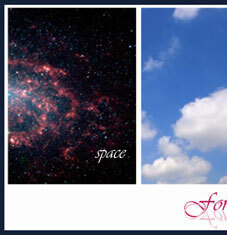 The vision of the WorldSpace board is helping many to stay focused on their purpose in life. Many of you must have heard the famous heart-transplant surgeon Dr. Jeevanandam of Chicago being interviewed on Radio Sai. 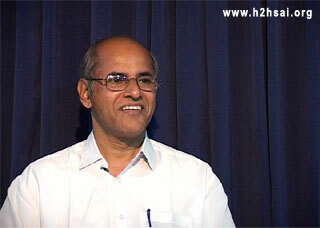 Dr. Jeeva feels blessed by Swami and has decided therefore to render service in Swami’s Hospital here as often as possible, which in fact he regularly does. You do not have to be world-class surgeon to engage in P-N cycle. We have the classic example of a person from the middle class in Kerala, Mr. George; many years ago, he underwent heart surgery in Swami’s hospital here. 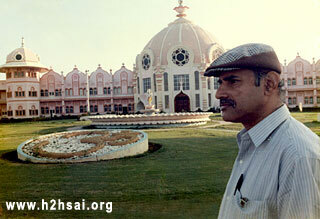 Mr. George feels that he is alive today entirely because of Swami; and so, he makes time every year to spend at least ten days in Swami’s hospital, offering his voluntary services, as needed. All of us are qualified to participate in the P-N cycle in our own way, provided the urge is there. Please note that in the P-N cycle, there is an implied value addition. God gives us some gift; we process it a bit further, add value to it, and offer it back to God via society. 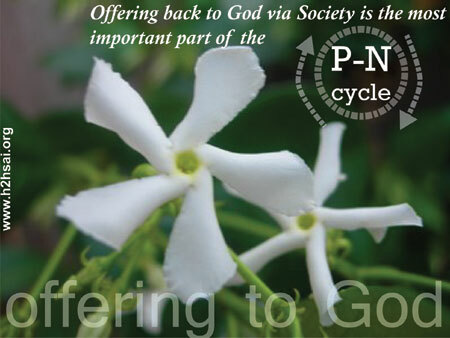 Offering back to God via society is, THE most important part of the P-N cycle. 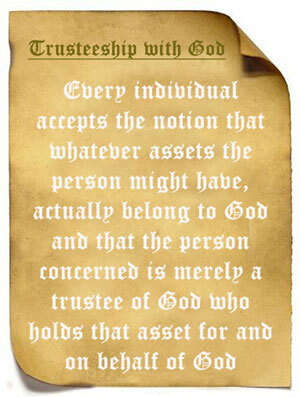 Every single individual, no matter to what strata of society he or she belongs, accepts the notion that whatever assets the person might have, actually belong to God and that the person concerned is merely a trustee of God who holds that asset for and on behalf of God. Adopting this spirit, the person then spends the money for the benefit of society in every possible way. The answer in the Trusteeship philosophy would be, “Yes you did work hard, but remember, it is God who blessed you to convert all that hard work into wealth. There are millions who slave all day from sunrise to sunset but they do not even get enough to eat. So do not think that just because you have invested hard work, all that money came to you entirely because of your effort alone.” The person might retort, “Mister, it is not hard work alone; don’t forget I invested my brains; don’t compare to me to an ordinary labourer.” Yes, the person did invest a lot of intelligence but where did that sharpness come from? Was it not God’s grace that equipped him with a fine brain and an opportunity to receive excellent education, MBA degree from a brand university and all that? So, if we think hard and are honest to ourselves, we would have to accept that our success is really the result of God’s Grace. In almost all cases, every asset we possess, be it good health, or wealth, or skill or knowledge, has been bestowed upon us by God. Keeping that in mind, one then goes through life using that asset for the benefit of society in every possible way, while at the same time using some of the proceeds for one’s own upkeep and sustenance. God does not object if one uses some of the money earned to have a house, transport, etc - all these are in fact needed for efficient working. What is not acceptable is using that money for improper goals like self-gratification. 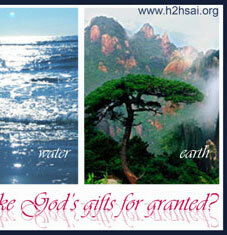 Everyone of us receives gifts from God, starting with the gift of life and the human form. Some of us might feel that God has been unjust to us while He has been partial to others; that is a wrong notion, but that apart, no one can say, “God has given me zero gifts”. 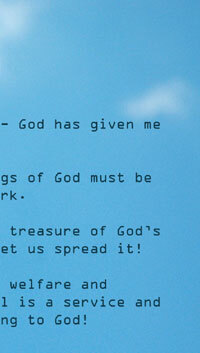 All the blessings of God must be carefully recognised and used for God’s work. Take a thing like time; everyone receives 24 hours in a day, from the king to the pauper. That time is a gift of God. Are we using that time for God’s work or do we use it in useless pursuits? Some might say, “I am a visually impaired person, what can I do for society when I myself am dependent so much on society?” Superficially, that argument might appear to be true but the fact is that all, no one excepted, have the treasure of God’s love within. Nothing prevents everyone, people with disabilities included, from spreading love. A person may be bed-ridden; but even such a person could keep on praying, “O God may all everywhere be happy. Please shower Your blessings on all, especially those in distress!” That too is a service and that too is God’s work. In short, if we reflect, all of us would have to agree that each of us can, in some form or the other, be engaged in the P-N cycle. When we do that, we transform life itself into worship; and that is what God wants, does He not? Think about it! Jai Sai Ram.